Trout Unlimited really got people talking last month when it announced that its members may not take part in stocking “non-native, hatchery trout” in streams that already hold native trout. The directive isn’t expected to curtail stocking, which is mostly conducted by state conservation departments. But it has stirred up a lively philosophical discussion about the merits and perils of adding catchable trout to our streams. Many — maybe most — New York streams that have been stocked for generations also hold at least a few native trout, meaning trout that were not only born in the stream, but are in fact descendants of the trout that were here before people were here. If the presence of any native trout at all made an entire stream off-limits to stocking, an awful lot of New York trout fishing would simply disappear. “Does one stop stocking brown trout in Willowemoc Creek, for example?” asked Phil Hulbert, chief of the Department of Environmental Conservation’s Bureau of Fisheries, referring to the storied Catskills stream that holds wild and holdover browns and brookies, no doubt including some natives. If there are enough wild fish, the DEC doesn’t bother stocking at all, Hulbert noted. Mike Walchko, president of the Clearwater Chapter of TU in Albany, said the chapter doesn’t take part in any stocking activity, preferring to focus on maintaining and improving trout habitat. He agreed with Hulbert that the issue of where to stock and where not to is complex. Larry Harris, head of TU’s national leadership council, wrote this week to chapter presidents that he was taken aback by the controversy arising from the new policy. After all, TU has been on record for years that stocking should be avoided if it was likely to harm native trout populations. And so Harris and a number of TU leaders from around the country are forming a committee to help state councils and local chapters comply with the policy in a way that makes sense on their local waters. 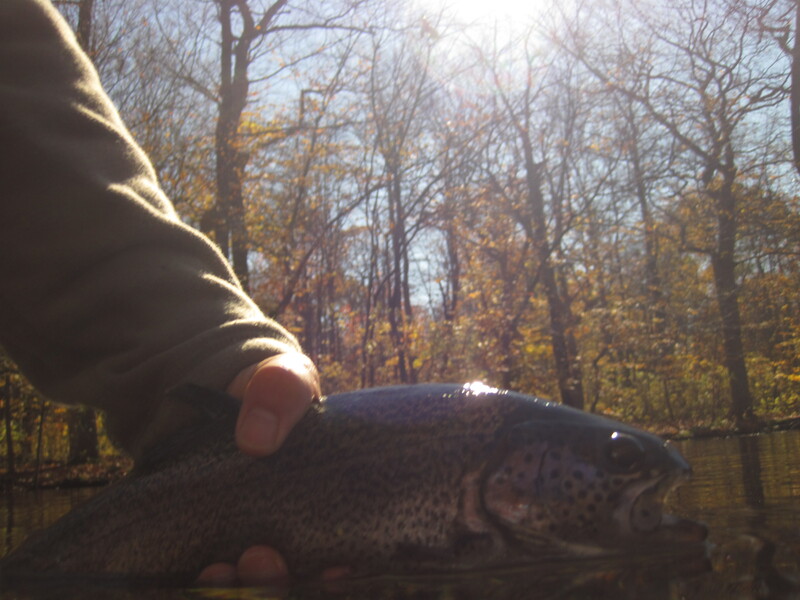 I’ve complained in this space, and others have complained in other spaces, that some New York waters are stocked with way too many cookie-cutter trout with barely any survival instincts. 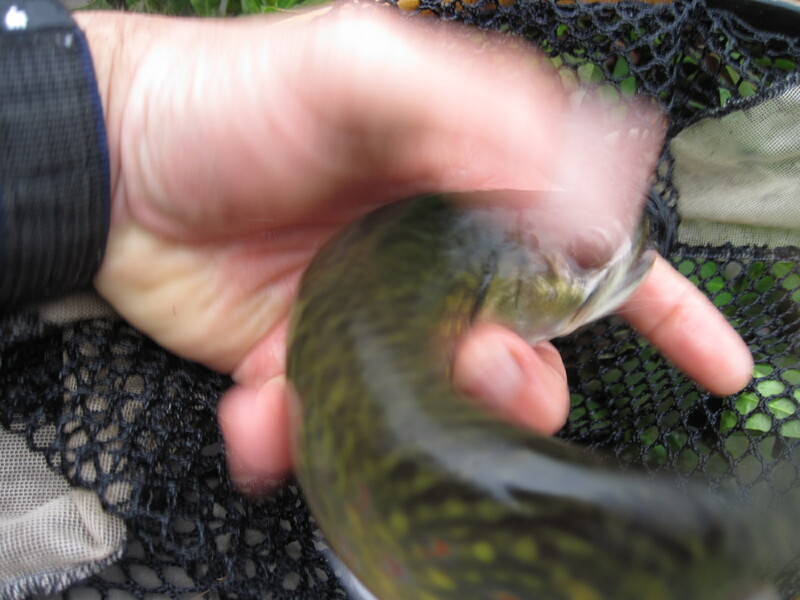 But I also fish some streams where all the trout are wild, others where most are wild, and still others where there’s a pleasing mix of wild trout and holdover stockies. One of my regular spots even has a few genuine, certified, heritage-strain brookies, their DNA untainted by interlopers from California or Germany. None of these are secret or remote. Even after a century of heavy stocking, New York still offers plenty of “natural” trout fishing. But TU’s heart is in the right place. 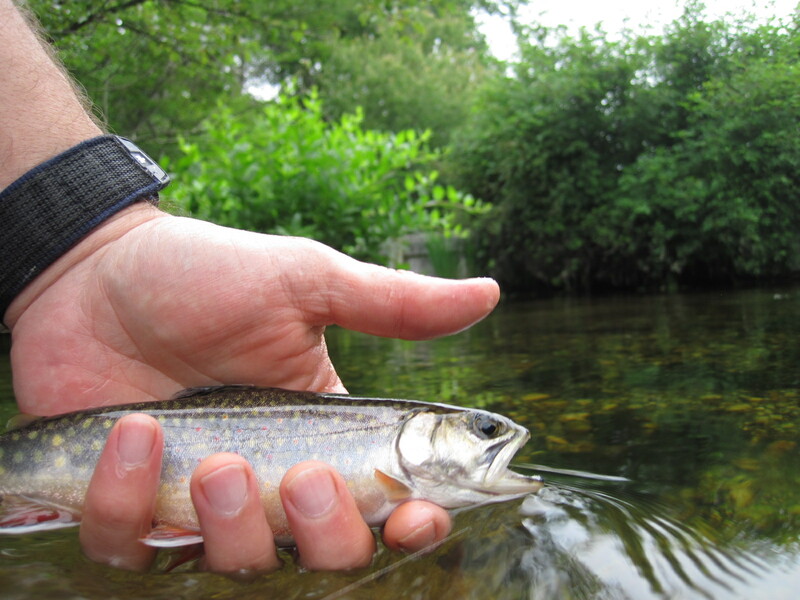 Native trout can never be replaced, and anything that will protect the ones we have is a good idea. ← The Twin Tiers FFF (Fly Fishing Federation) will be hosting Katy Dunlap, Eastern Project Director of Trout Unlimited for a presentation entitled “Protecting Sportsmen’s Interests from the Impacts of Marcellus Shale Development”.